Imagine the excitement of coordinating every aspect of a church's life during the Advent season. Older children, youth and adults study coordinated Sunday School lessons. The Sunday morning worship experience continues the theme. Intergenerational activities further unpack the theme on Wednesday or Sunday evenings. The time is near of the crowning of the year. Make your house fair as you are able. People, look east: Love the guest is on the way. Love the rose is on the way. Each Sunday, the theme is drawn from a verse in this carol. 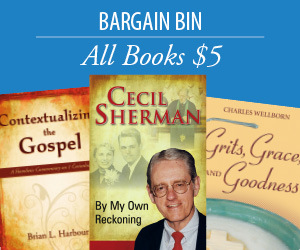 The included Sunday school lessons offer a Bible study for older children, youth and adults. Fully developed worship outlines are also provided, complete with prayers, litanies, children's sermons, and even a sample sermon for each Sunday. Then, instructions for a intergenerational Bible studies and gatherings are offered for use on Wednesday or Sunday nights. 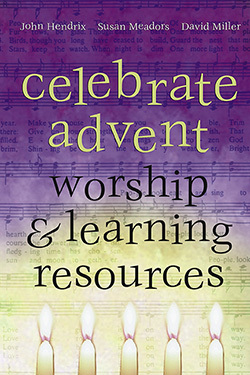 Celebrate Advent provides a warm and wonderful way to draw your congregation together during this meaningful season. John D. Hendrix was pastor of Northside Baptist Church, Clinton, Mississippi. He was the Basil Manly Jr. Professor of Christian Education for 11 years at the Southern Baptist Theological Seminary in Louisville, Kentucky. Susan Hooks Meadors was Associate Pastor of Youth and Education at Northside Baptist Church, Clinton, Mississippi. David G. Miller was Associate Professor of English at Mississippi College and Liturgist at Northside Baptist Church, Clinton, Mississippi.